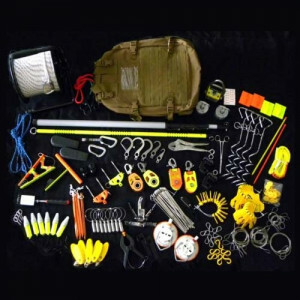 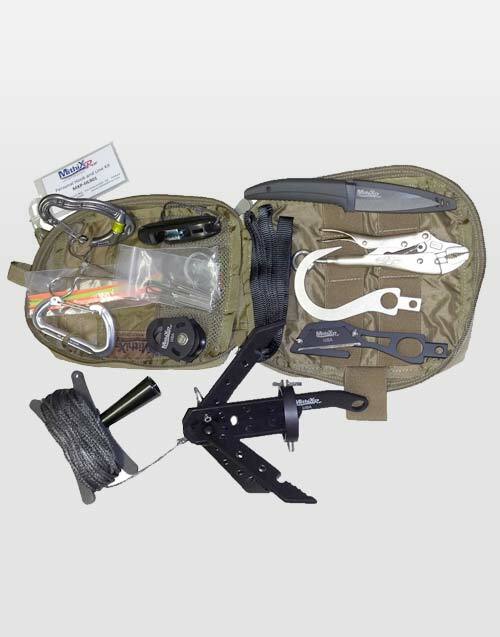 Personal Hook and Line Tool Kit for Explosive Ordnance Disposal (EOD / IEDD), Bomb Squad, Combat Engineer and Special Operations procedures. 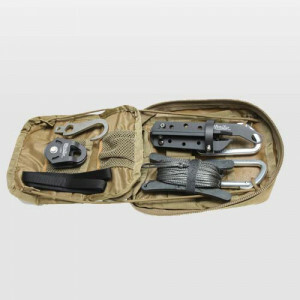 Features high quality components, stainless steel hook, strap cutter, high-strength micro pulley, low-stretch high grade Dyneema Rope, roller bearing carabiner, standard carabiner, MXP Grapnel Hook, endless loop slings, utility razor knife, assorted pin pack and a thigh/ruck attaching case with multiple pockets. 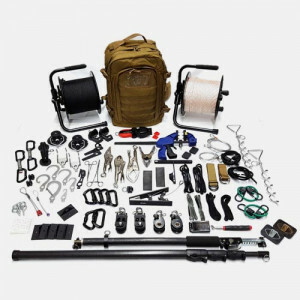 This kit is specifically made for Improvised Explosive Device (IED), booby-trap, remote movement and remote handling operations. 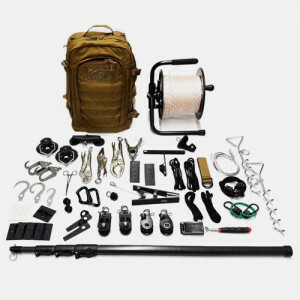 Not all Kit Components are pictured.